Now that we’ve got our sea legs, let move sub-orbital and beyond at the U.S. Space and Rocket Center in Huntsville, Alabama. Here we can see a restored Saturn V-1 “moon shot” test vehicle and the A-12 Oxcart “Blackbird” spy plane. 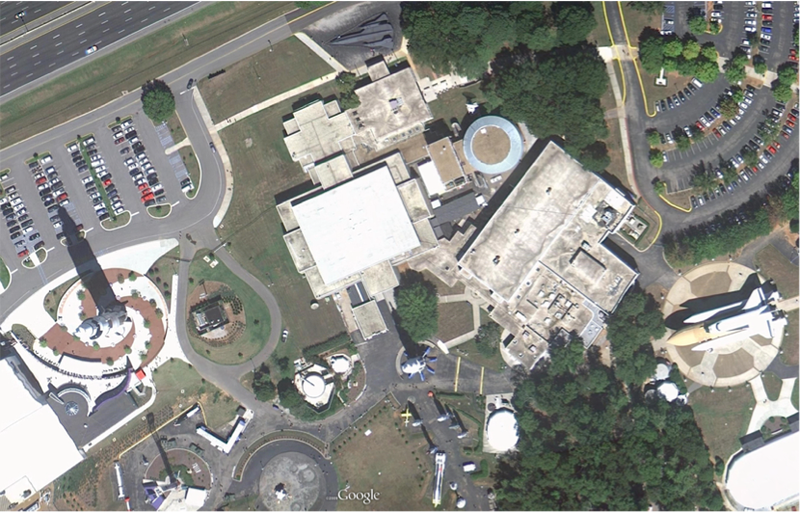 These are just a few examples of the many museums around the globe that are included in our latest imagery batch. 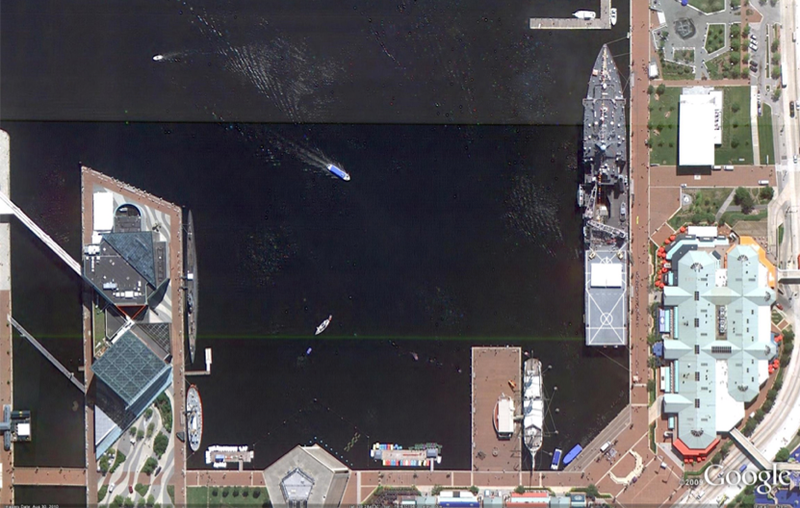 The Google Earth and Maps Imagery team has just released another extensive batch of aeriel and satellite images for your enjoyment! In honor of the upcoming U.S. holiday Veterans Day (November 11th), we’ll take a look at a few military-themed museums. 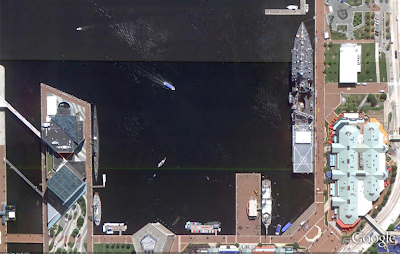 Let’s start with a wide-view of the naval ships on display at the Baltimore Maritime Museum in Baltimore, Maryland. Historic ships that you can zoom in on and see close up in Google Earth or Maps include the last sail-only warship USS Constellation (lower left); the submarine USS Torsk (upper left) which sunk the last enemy ship in World War II; and the cutter USCGC Taney (upper right), the last ship still floating that fought during the Pearl Harbor attack.